Fleet Advantage released today results of its latest annual benchmarking survey taking the pulse of fleet executives on a variety of industry issues. 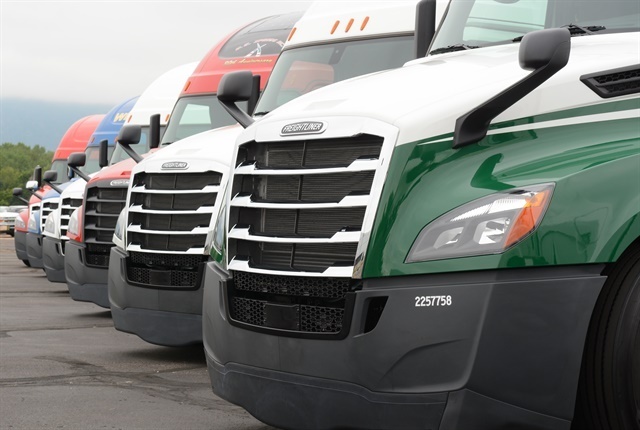 The online survey, presented to more than 1,000 fleet operators, covered topics such as the outlook for electric and hydrogen fuel-cell trucks; fuel economy trends; and how they view maintenance and repair (M&R), safety and driver retention. 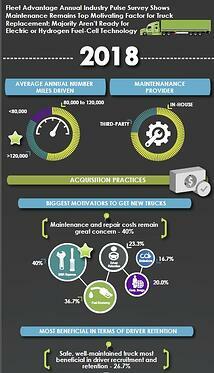 According to the survey results, 40% of respondents listed M&R as their top motivating factor for acquiring new trucks (tops in the last benchmarking survey as well). M&R costs have become front and center in recent years, with more fleet personnel working with their finance departments according to a recent Fleet Advantage study to show them how significant M&R costs are to lowering their overall fleet costs.